Where better to see spacewear than in the selection at the Space Centre? It includes pieces on loan from Britain’s first astronaut, Sheffield chemist Helen Sharman, who was selected for the 1991 Juno mission onboard Mir International Space Station. 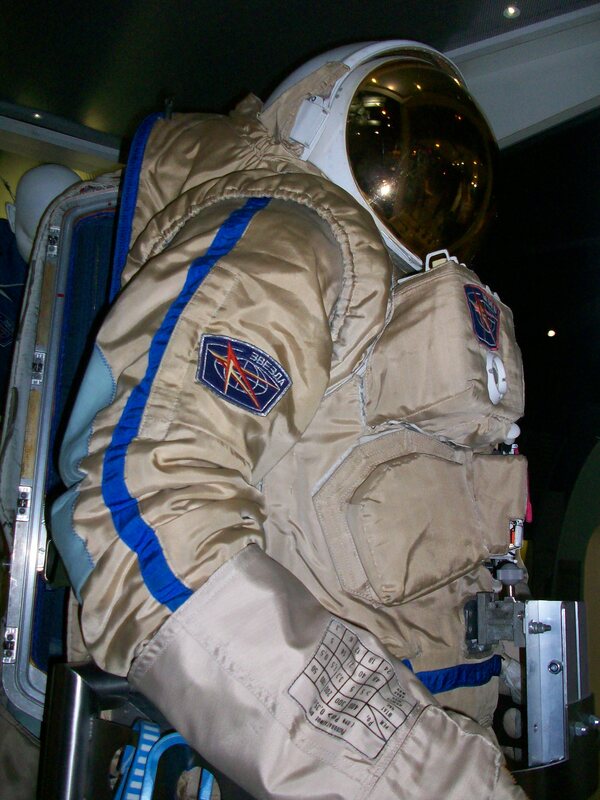 Not only humans are clothed – the Space Centre has a canine high-altitude pressure suit on display too – sadly outside the remit of my current book. Spacesuits are mostly only worn with sealed helmets for take off and landing, as they are far too hot and cramped inside a space station. Helen Sharman noted that on the journey up to Mir the astronauts had to take their space suits off to dry in the command module, as they were all rather sweaty. The human form is fully swamped inside the iconic EVA – Extra Vehicular Activity – suit, used for ‘spacewalks’ and work on the exterior of the space station. 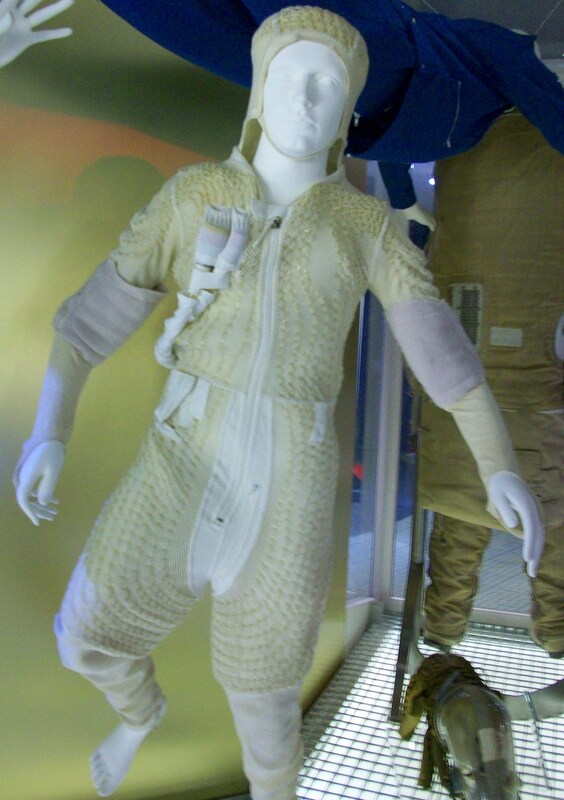 Astronauts certainly can’t get fully dressed themselves, aside from putting on the underwear layer that is looped with tubes for cooling fluid to pass round the body. What stuck me most when I had a closer look at the Space Centre exhibits, was how crucial small costume inventions are to human exploration. Could a spacesuit be rendered airtight so easily without zips, for example? And would there be humans in space without Velcro?